Choppies Stores chief executive officer Ottapathu Ramachandran has submitted an affidavit to the prosecution withdrawing charges against former Vice-President Phelekezela Mphoko’s son, Siqokoqela who was being accused of swindling the retail outlet of over $50 000. Mphokos’ lawyer Welshman Ncube yesterday confirmed that he received the withdrawal affidavit from the complainant, but indicated that the court case still stands until the matter is withdrawn by the court. “Yes, we have received the affidavit and the affidavit withdraws the complaint against accused, but the court case still stands for now. 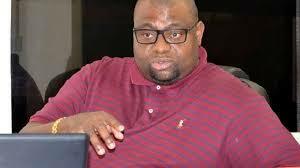 When we appear in court, the State will tell us and the court what it intends to do and in this case where a complainant has withdrawn the charges, it means that there is no longer any complainant and the State cannot be a complainant in such a case,” Ncube said. Siqokoqela (40), who is out on $200 bail, is facing 170 counts of fraud committed at Choppies retail business.